A foreboding dream of impossible foes; goblins with control over fire, disease, and death, leads to a tiny village on the edge of the wilderness threatened by three goblin tribes united by chaos and a legacy of hate. Against the Goblins is the first of a series of full size adventures compatible with the Swords & Wizardry rules. This adventure is part of our Dungeons of Dazegoneby series, a new line of products created with ‘old school’ gaming in mind. 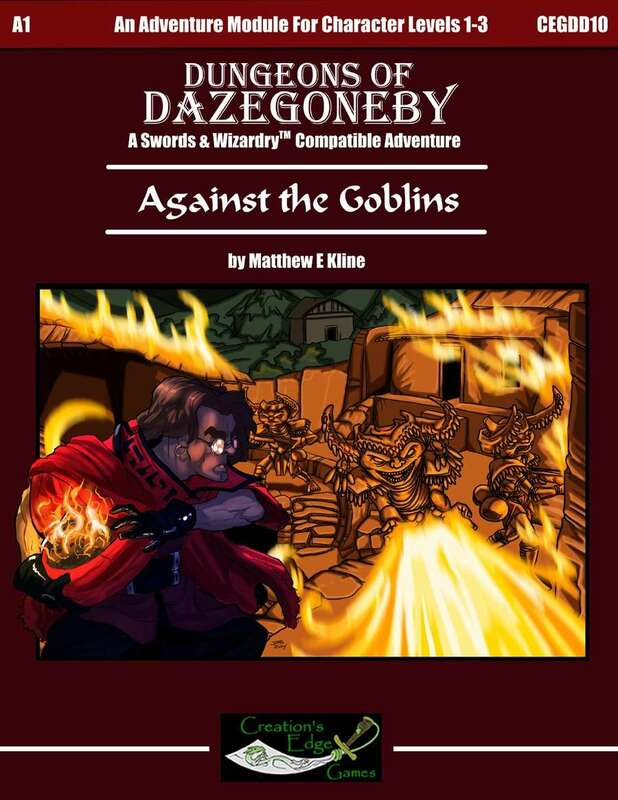 If you like this adventure watch for other Dungeons of Dazegoneby adventures coming soon. Adventure A1: Against the Goblins is compatible with the Swords & Wizardry rules available for download through this site. There will be in the future other full sized adventures like this?